I am pleased to announce that I am now able to accept most credit and debit cards at my Beckenham practice, as well as cash or cheques. I hope that this will give greater flexibility to patients. Over the past few years I have been continuing to study and develop my skills and experience of Osteopathy in the cranial field, attending many courses, particularly those run by the Sutherland Cranial College of Osteopathy. I am proud to say that I have successfully gained Fellowship of the Sutherland Cranial College of Osteopathy having completed their comprehensive postgraduate pathway in cranial osteopathic education. I have recently become a member of Backcare. This is a charity providing back pain information and education. Their website has lots of useful information on neck and back problems and their management. The site includes many information leaflets including the use of hot and cold packs, beds, office furniture etc. If you have been having trouble getting to the website this morning I do apologise. This was a problem with the website host, which they have now sorted out, so we are back up and running. I am now registered with BUPA and Aviva as well as AXA/PPP, Cigna and Simply Health. If you intend to claim payment of your fees through your Health-care policy please let me know when booking. It is helpful to know in advance, since each company has their own way of dealing with claims and paying fees. 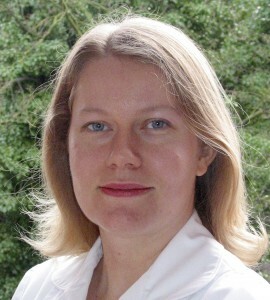 Welcome to the new website for Erika Dannmayr Osteopathy!